The switch to the Audiokinetic Wwise platform in Update 9.14 let us use sound to provide much more information to players, like the approximate caliber of a gun, the type of shell, the amount of damage received, etc. 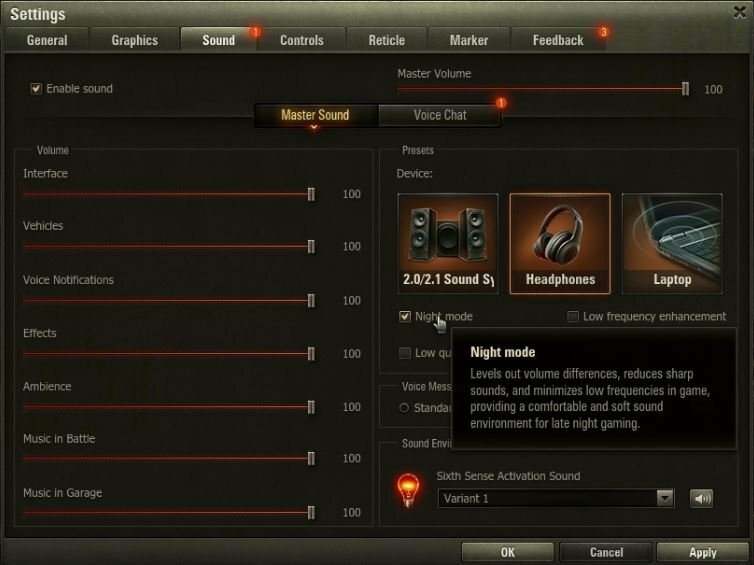 With this enhanced sound feedback, players can more quickly understand the current situation on the battlefield and make appropriate decisions. 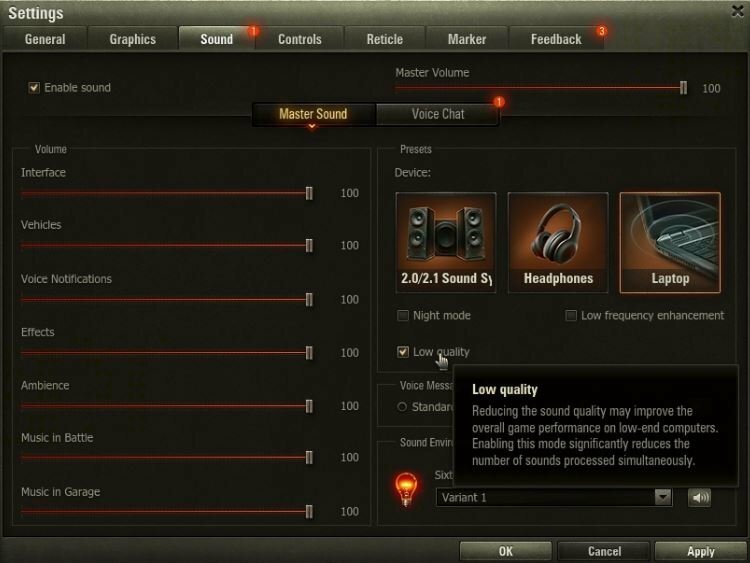 We have been continuing to work on sound for the game in the last several updates, and want to share with you a number of sound improvements coming in Update 9.16. The "Interface and Notifications" slider is split into the "Interface" and "Voice Messages" sliders. 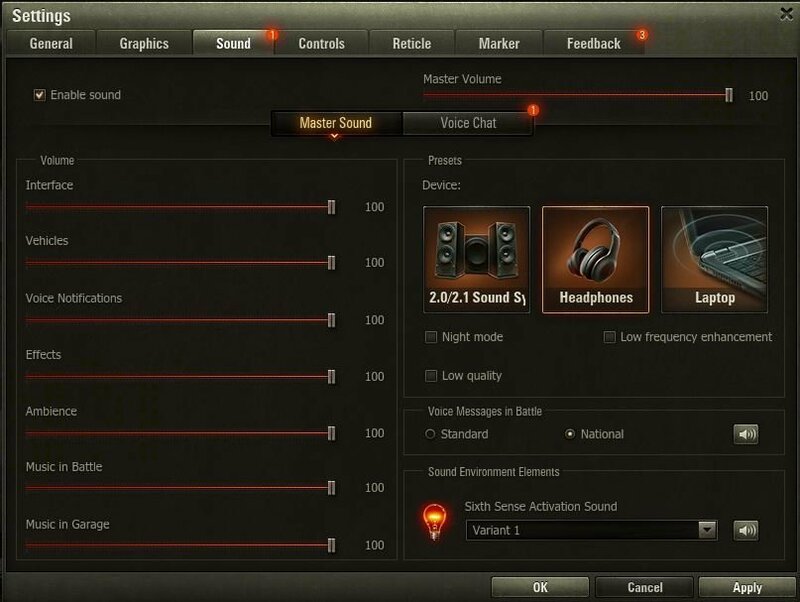 The "Music" slider splits into "Music in battle" and "Music in Garage:"
The caliber range is extended -- now, the sounds of five different calibers (instead of three) are used in tier VIII-X battles. 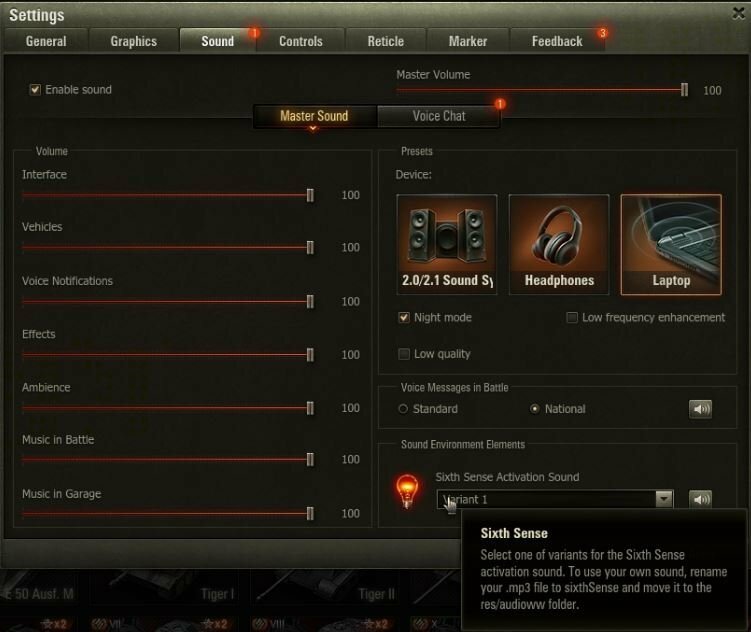 A new sound system for cartridge reloading is added to provide additional information about the number of shells in the cartridge. Different sounds will play when the player is down to the last shell in the cartridge, when all shells are fired, or when the player runs out of ammo. Added sounds of a damaged engine (when a module is damaged, not destroyed). Added a notification sound when the gun is unable to fire (destroyed). Added individual sounds for damage to each of the modules. We also added new notification sounds for events that end a battle; specifically, when the last enemy is destroyed or when your team captures the enemy base. In other words, you can't not know when the battle's over. New "endless" and non-recurrent music is played in the Premium Garage. In addition, it will naturally respond to certain player actions.